Transportation Costs > How Much Does a Trailer Hitch Installation Cost? How Much Does a Trailer Hitch Installation Cost? A trailer hitch offers a car, truck, or even van the ability to carry or tow anything from a small trailer to something as large as fifth wheel RV. The cost of having a hitch installed will depend on the type of hitch, the make and model of the car, and the company performing the job. On average, most professionals are going to charge anywhere from $225 to as much as $625+ to professionally install the hitch. Outside of the parts, most professionals will charge about $90 to $350 to install a hitch, greatly depending on the make and model of your vehicle. The car dealers can be much more, often as much as $1,100. According to this Odyclub.com, two members claimed they received quotes for $1,100 and $1,600. Uhaul, for example, can install trailer hitches on any make and model of vehicle. They will include the parts, wiring, and even a warranty. The prices will greatly vary depending up the make and model of the car, but according to our research, it appears most cars can cost anywhere from $200 to $300. For example, a 2009 Toyota Corolla would cost $230 for the complete job, but others, as noted in our table below, could be much more. If you were to install it on your own, you will need to consider the following parts: the hitch receiver, ball mount, hitch balls, pin and clip, and the wiring. 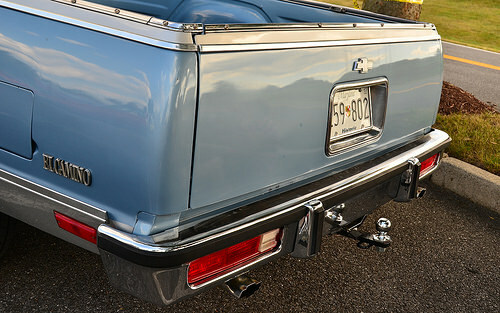 A hitch receiver, depending on the max weight and part, can cost about $125 to $275, while a ball mount will in the $20 to $40 range, depending on the drop and length. Lastly, most hitch balls will be $10 to $20, the pin and clips will be about $3 to $6, and wiring kits, depending on the make and model should be in the $50 range. To install it on your own, it will cost about $200 to $250 in parts. Consumers are often able to decide between three hitches: a standard receiver ball, the fifth-wheel or gooseneck. The standard receiver ball will be mounted on the back of the vehicle, whereas a fifth-wheel/gooseneck will be installed within the bed of a pickup truck. The difference between the fifth wheel and gooseneck, however, will lie in the connection. A fifth-wheel will use a king pin connection, while the gooseneck will use the receiver ball-type connection. Both of these connections allow you to tow extra weight with increased control and stability than that of a standard receiver ball. There are five classes for a hitch, all of which are based on the cumulative weight being pulled, the kind of receiver being utilized and the weight of the safety chain required. A Class I can tow up to 2,000 pounds, while a Class V can tow close to 12,000 pounds. Aside from Uhaul, local muffler shops and many independent mechanics will be able to install the hitch for you. A trailer hitch lock is highly recommended to add an extra layer of protection to prevent theft. These locks can cost anywhere between $10 to $25. Each kit can fit a different make and model, so it is essential you know which kit is going to fit. If it is not meant for your car, you could encounter problems or cause damage to your car. If you do not know what kind of hitch you are going to need, consider using either Amazon’s search engine, use the Uhaul reference above or even perform a quick search online. Always know how much your car can tow before towing. If your car, SUV or truck is not capable of towing the desired amount of weight, you may find that you can do a lot more damage than good. You can usually find the amount of weight, termed as Tongue Weight and Gross Trailer Weight, that it can pull on the car’s official website or inside the car’s manual. This is a relatively easy job that only takes less than an hour to complete. Consider trying to install it yourself before calling a shop. Many kits will come equipped with detailed instructions that are very easy to understand. Try to avoid the local dealerships and consider a local mechanic or Uhaul location. From our research, many dealerships will charge a lot more than a local place such as U-haul. Used a local business that specialized in Tow Hitches. Good price for peace of mind!